When you think about millennials, what comes to mind? Some may imagine a generation between 18-34 years old that spends more time on their phones taking selfies than they do with people. For others, the words that come to mind may be entitled, lazy, or selfish. Would you describe caregivers the same way? Probably not. While some might think of millennials as being selfish and lazy, the reality is that more than a quarter of Canadians under 30 are caregivers. 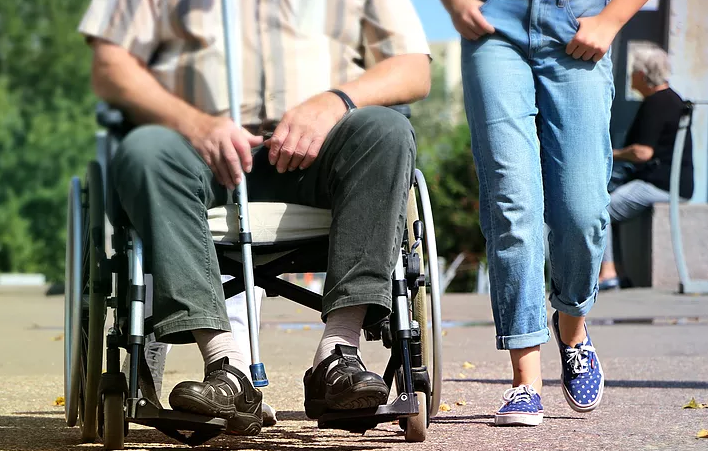 In 2012, an estimated 1.9 million young Canadians provided some form of care to a family member or friend with a long-term health condition, disability, or aging needs. In addition, Canada has more young caregivers per capita than any other country in the world. Nearly 25% of all 8.1 million Canadian caregivers are between the ages of 15-29. Most of these young caregivers provide care to a grandparent, but they may soon be caring for their own parents as well. While millennials have become the largest cohort of Canada’s population, the baby boomers are aging into retirement. It’s only a matter of time before the number of young caregivers will increase even further. This may be a difficult transition for some, so strategies should be put in place to help support them. The aging baby boomer population will exacerbate these problems even further. Statistics Canada states that by 2031, there will be less than three working-age people for every senior. This figure is half of what it was in 1981 when the ratio was 6:1. This rising dependency ratio means that more millennials will have to provide care to aging parents or relatives. With lower income levels than previous generations, this may become an increasingly difficult burden to bear, both financially and personally. Many young people are inexperienced at providing care for a loved one, so it can be a difficult transition if they suddenly need to start doing so. This is especially true if they are the sole caregiver. They will need to quickly become familiar with their loved one’s health issues, prescriptions, and insurance, among other things. Since millennial caregivers are less common, it may be hard for them to find someone who they can ask for help with these new, unfamiliar tasks. This can lead to a lack of social support and increased levels of isolation. Furthermore, the demanding tasks of caregiving can lead to high levels of emotional stress, especially when caring for family members with diseases like dementia and Alzheimer’s. Caregivers already suffer from increased mental health issues, and millennials are at high risk as well. Millennials are just starting to enter adulthood and achieve big milestones. They may have recently graduated from university, landed a new job, or gotten married. Having to suddenly start providing care to a family member may require that these other aspects of their life take a back seat. It can be difficult to balance caregiving with career or education responsibilities, especially when they don’t know anyone in a similar situation. To make the transition easier for young caregivers, increased support is necessary. To ease the burden on inexperienced caregivers, improvements need to be made. This includes increased assistance from the government or other caregiving-focused groups. For starters, comprehensive educational resources for new caregivers should be made easily available online. These resources should provide advice on healthcare, insurance, and health issues that can affect their loved ones. There should also be information on support groups, resources, and tax credits that young caregivers can take advantage of. While there are some caregiver resources available on the Government of Canada’s website, there is definitely room for improvement. Funding should be provided for support groups aimed at younger caregivers. This would allow millennial caregivers to more easily find people in their age group facing similar issues. Increasing government assistance and benefits aimed at young caregivers would also be very helpful. Many young caregivers are still in school, so there should be programs for student caregivers. Some in this group report a lack of support from university professors, so scholarships and better flexibility would definitely help. Additionally, mental health resources should be made more easily accessible to this group, as they are at an increased risk of developing these issues. Young caregivers need to ensure they don’t forget to take care of themselves. Caregiving is a difficult task, and burnout is common. The Family Caregiver Alliance (FCA) reports that caregivers have much lower levels of self-care – nearly three quarters of caregivers don’t go to the doctor as often as they should. The FCA provides a great list of self-care techniques that caregivers should take advantage of. Activities like meditation and yoga are great for stress relief, and exercise helps as well. Caregivers that are exhausted will not be able to provide the best care possible to their loved ones, so self-care is a necessity. Millennial caregivers already make up a significant portion of the caregiver population and will continue to grow in size. With the baby boomers retiring, the dependency ratio will continue to rise in the near future. Millennials may have a difficult time caring for their parents while dealing with diminished economic opportunities. However, if the necessary support is provided and funding is increased, the burden will be easier to bear. Millennial caregivers should take advantage of the support available to them, and take care of themselves so they can take better care of their loved ones. Some may see millennials as a selfish, selfie-obsessed generation, but all the selfless millennial caregivers out there are working hard to prove them wrong.